While Goose Island‘s regular rotating beers are pretty darn good, their special ones are absolutely spectacular. 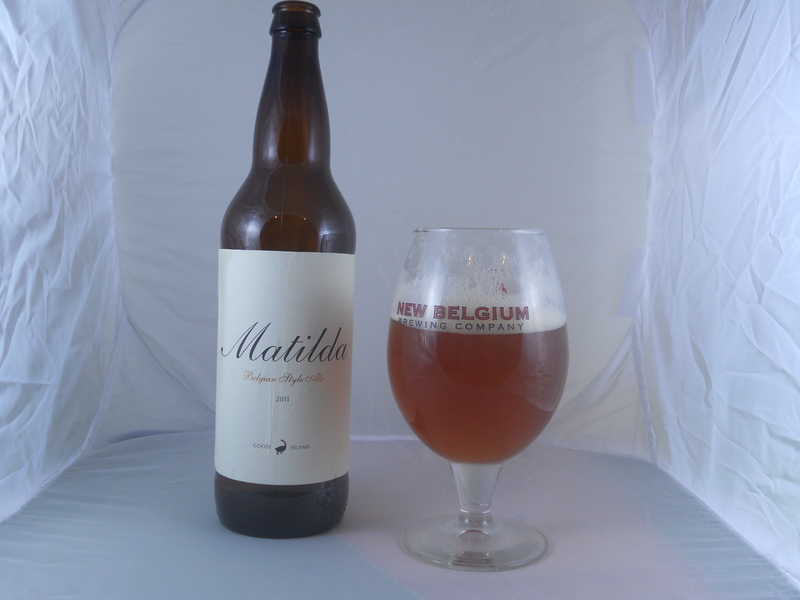 They are well worth the price if you can find them, and this Matilda is no exception. I actually first had this about 6 months ago or so on a trip to Peoria for the annual meeting of ASCLS-IL. A classmate of mine works at the original Goose Island brew pub and gave me a bottle of this to take home. Six months later I finally drank it. and check out my fancy new staging thingy! Style: Belgian Strong Ale. Similar to a Belgian Pale Ale but with a much higher alcohol content. A highly complex ale with a huge, billowy head. (I can attest to this—there was some spillage…) Fruit and hops flavors balance each other nicely. Overall Impression: This is really, really good. Somewhat surprisingly, it went well with my spicy Thai peanut pasta. I would recommend sharing the bottle as the alcohol content (7%) is a tad high for a session brew. Appearance: Beautiful coppery amber color with excellent head that receded into lots of lacing on the glass. Aroma: Fruit aroma–it tastes more complex then it smells. 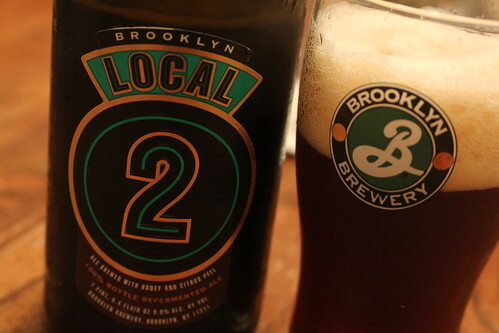 Taste: Fruity, tarty, with spicy yeast flavors as well. You taste something new almost every time you take a sip. Mouthfeel: Light with good carbonation. Smooth as well. Goes down easily. I’ve had this beer for a while and finally cracked it open about a month ago. I’m so glad I did, because this was fantastic! Style: Belgian Strong Dark Ale. Higher in alcohol than your standard Belgian Dark Ale. Usually fruity with a mild dark malt flavor. Light on the hops and somewhat spicy. Overall Impression: Wow! Given what I thought of the Raison d’Etre I reviewed previously, I wasn’t expecting to like this beer. But I did! Appearance: Burgundy brown color, clear. Smell: Fruity and slightly malty aroma. Taste: Mildly spicy, just a bit fruity, and not too bitter. The hops help balance the fruit and spices. Mouthfeel: Smooth but just a bit tingly.